Cooking for our wives & partners ! On Saturday 19th May 2018 we booked Our Lady of Victories Catholic Church Hall for the evening and treated our wives and partners to a 3 course meal all cooked by a group of Lions. You can view some of the photos from the evening below. 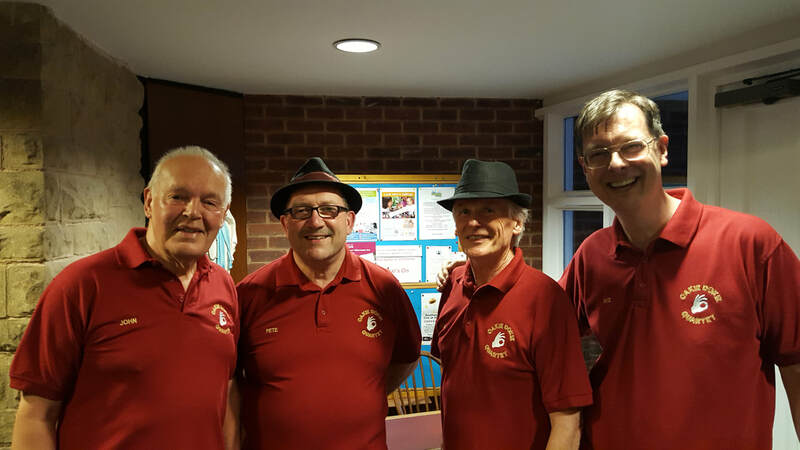 We were also treated to some great acappella singing by John, Pete, Shane & Mike who made up the "Oakie Dokie" Quartet. The slideshow below is from a few years ago - do we look any younger ?